Finding substitutes for animal products is perhaps the trickiest part of vegan cooking, both for a new conscious eater, and for someone who’s been doing this a while. 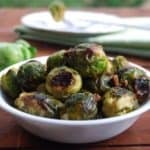 But it can also be a lot of fun to upend some long-held traditions on cooking and baking by using cruelty-free products and getting results that are just as good and usually healthier than their animal-infested versions.Here is a list of vegan substitutes that always work for me. I’ve tried to group them by the animal product they replace. I will add to this list as I experiment with new substitutes, but meanwhile rest assured that I’ve tried and tested them for years now in my vegan kitchen. They work! If you don’t find something here and have a question about what to substitute in a particular recipe, feel free to leave a comment below. I use this most often for baked bread-cakes, like my Banana Nut Bread and Zucchini Bread, and in cookies and muffins. (I usually blend my tofu so it is smooth before using it. 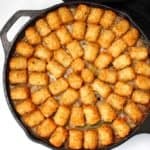 If you add it as is to a recipe, you might never be able to break the lumps. 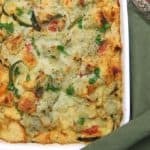 Tofu works especially well in quiches and pancakes and pastas. It is also a great replacement in scrambled eggs). I’ve subbed aquafaba in breads and donuts and other vegan recipes that call for eggs, with great results. With patience, it also whips up into a great meringue. 1 cup commercial soy yogurt. Soy yogurts are available everywhere now. Look in the regular refrigerator aisle alongside regular yogurt. Quick 1 cup cashew yogurt: Make by soaking 1/2 cup raw cashews in 3/4 cup of water for at least 30 minutes, then blending to a smooth paste with juice of 1 lemon and a pinch of salt. (I am a die-hard fan of this Japanese seasoning and use it all the time instead of salt and in place of cheese in pestos and soups. I even add it to quiches, sauces, etc. Always add miso at the end of cooking, since heating miso can kill the wonderful enzymes it has that regulate your digestion). There are commercial brands of vegan cream cheese and vegan sour cream (like Tofutti) that taste and act like the originals. But there also are nifty ways you can create your own “cheesy” flavors without buying overprocessed, over-the-shelf foods. SUGAR: Gee, you might say (especially if you’re a new vegan)– are you kidding me? The truth is, most sugar is refined with an animal ingredient called bone char, which is made from the bones of cows. So sorry to rain on your dessert, but no, sugar is not usually a vegan product. The good news is, there are more delicious alternatives out there. When you shop for sugar, look for turbinado sugar, which is not refined. It is also tastier, in my opinion, and it’s better for you than regular sugar. Another great alternative is vegan cane sugar that is increasingly available here in the United States. 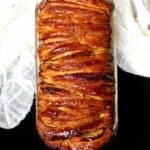 Then there are so many unrefined sweeteners like jaggery or gur used in Indian kitchens, piloncillo in Latino cuisine, and maple syrup, of course. The last three have distinctive flavors, but they are wonderful flavors, so what’s stopping you? CONFECTIONERS’ SUGAR OR POWDERED SUGAR: This is one I often get questions on because vegan powdered sugar is much harder to find in stores that regular vegan sugar is, and it is an essential ingredient in any avid baker’s pantry. I usually powder my own sugar in a spice grinder– adding a tablespoon of cornflour to a cupful of sugar really helps. If you have a powerful blender, that would work too. But the good news is, there are some brands of powdered sugar that are now out there, like this one, that you can order online. 1 TBSP WORCESTERSHIRE SAUCE: 1 tbsp soy sauce with a smidgen of vinegar to add a slightly tangy note. Vegan versions of Worcestershire sauce are also on the market, but be sure to read labels carefully. THAI CURRY PASTES: Thai curry pastes are great to have on hand for quick curries, but vegans need to watch out because most off-the-shelf products contain animal ingredients. The pastes are super-easy to make at home, and you can’t beat the flavor. Get my vegan, homemade version of the red, yellow and green Thai curry pastes on my DIY spice mixes page. They store forever in the freezer. Quick question on the flax meal. Do you use pre- ground flax meal? How do you store it? Hi Ambica, I’ve used both but these days I buy the seeds and grind them up myself in a blender. That’s because anything with oils in it can go rancid over time so it’s safer to make the flaxmeal in smaller batches. I usually grind up enough for about a month’s use and keep it in an airtight jar in the refrigerator. Many of the nutrients in flax seeds (whole or ground) are degraded by light, so when you store them in your fridge make sure that you use an opaque container. hi vaishali your recipes are great and inspiring.i have just recently turned into vegan. I live in India I don’t get vegan butter here.how do I substitute butter? Butter’s usually quite easy to substitute– use margarine or oil, even in cookie and cake recipes. Is there a specific recipe you want to substitute butter in? Thanks for clarifying the vegan sugar issue! I never knew that sugar wasn’t vegan! Hi Lisa, congrats on choosing vegan. You are going to have a lot of fun discovering new foods! Happy you are finding the blog useful and always feel free to ask if you have questions. Best. Vanaspati is fine. It’s the same as shortening. how do you replace khoya? Surabhi, it would depend really on the recipe you are trying to replace it in. Cashew paste can be used in some instances. If you have a specific recipe in mind, I might have a more specific answer for you. Hi Aarti, use cashew, powdered very finely. Thanks for this page. It definitely helps us veganize recipes! Will the vegan cakes taste better if the cake and frosting are made couple of days in advance? I have an event on Saturday but will be busy the entire morning that I will not have time to bake and decorate the cake the same day. Hi Jay, you can make them in advance, it really shouldn’t change the taste if you refrigerate the cake and/or the frosting for a couple of days. Let them come to room temperature before you decorate. Cheers. Awesome site. I tried your mango salsa and quiches… Thanks for sharing..
Hi Lakshmi, so happy you have tried the recipes. Barley by itself is not a good substitute for wheat in breads because it doesn’t have as much gluten which gives wheat its binding and rising power. 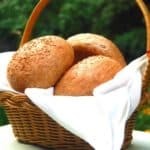 You can try using flours like rye in combination with wheat or– if you want to avoid wheat altogether– try gluten-free breads like this one https://holycowvegan.net/2013/04/gluten-free-sandwich-bread.html. Be sure to follow the recipe closely. Allbest. HI, I didnot really get sugar part. Are you saying, all these years, we are eating ones of cows in our daily sugar? If so, can you advice easily available alternates. Yes, most white sugar is refined using bone char which comes often from cow bones. You can use unrefined sugar like turbinado and in the U.S. you can buy sugar specifically labeled as vegan. Jaggery, maple syrup and agave are all great sugar substitutes that involve no animals. can you please share how to make faux chicken at home? Hi Vaishali, thanks so much for your website. My husband and I both went vegan a few months ago when he was battling some health issues. He had been vegetarian for many years so it was not as much of a jump for him (I was definitely NOT vegetarian), although I didn’t do his veggies much justice. I worked full time and found it difficult to come up with anything creative in short time. So I tended to use a lot of pre-made vegetarian items for him. After he was diagnosed with cancer, I emptied the kitchen cabinets, and the fridge & freezer of all animal products, and most of the frozen “vegetarian” entrees that I used to rely on. 99% of what I make now is fresh and I’m amazed at how easy it is to combine the different veggies, grains, beans and spices & come up with great meals. I’m not working now so I have more time to learn, and your website is a Godsend! There are so many spices used in Indian food that have medicinal benefits for him. Right now I am adding turmeric and other spices to his green drinks, but I recently woke up thinking, “why don’t you learn to actually cook Indian food? ?” I don’t know what the differences are throughout the different regions, but I know this is a great place to start. Your website is much easier (and more personal) than any cookbook. I’m in the process now of getting more of the basic ingredients and will try your Mushroom Biryani first. Thanks again! Do you make yoghurt at home?After reading your blog about Amul cheese,I am trying to be vegan.I love yoghurt and the plain soy yoghurt is too sweet for me.Have you any suggestions? Also,where can I get miso? I live in Canada.Thank you for the informative blog for a new vegan. Hi Vaishali am dying to try one of your recipes, but it calls for pastry flour which I’m having a hard time find. Is there any substitute for pastry flour? Hi Sangita, use half all purpose and half regular whole wheat flour. Should work just fine. Cheers. Is molasses also produced using bone char? I was wondering if i can replace sugar with it. Turbinado sugar is slightly expensive. Thank you for all the support. Hi Geetha, molasses is perfectly fine– it is not refined using bone char. You can also use the Indian jaggery in some sweets. I buy my vegan cane sugar or turbinado sugar at Costco where it is available at fairly economical prices. Is nutritonal yeast same as the regular yeast one uses in baking?If not,where will it be available?Instead of ghee,what can I use? Thank you for all the help. Hi Geetha, nutritional yeast is very different– it looks flaky instead of granular, and is rather cheesy tasting. If you live in the United States, you should be able to find it at a Whole Foods or any health store, or online. And the best substitute for ghee is any old vegetable oil, although for sweets I sometimes use nut oils, like walnut or almond. All the best. Thank you,Vaishali. Hope you are well. I am a lifelong vegetarian but have a food allergy to eggs and can no longer eat dairy due to sensitivities, I also have food problems with soy products. anyway, glad to be vegan now. Wanted to for a long time but was too lazy to figure it out. Now I have to. Would you please recommend a tofu alternative for such things as smoothies. Also, when it calls for cheeses, such as ricotta ? I also cannot eat any yeasts, so I would like an alternative other then nutritional yeast for cheese in recipes. thank you so much for any help you can provide. Hi Diane, you might want to use nuts or seeds. Nuts and seeds are higher in fats, but they are of course good fats and if used in moderation you should be fine. For smoothies, I’d just blend a handful of cashews along with the fruits in a powerful blender. As for nutritional yeast, I sometimes use miso (white miso works the best here) as a cheese alternative in pestos and it works really well. Hello, thanks so much for answering my question. I really appreciate the suggestions! 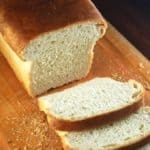 Do you have any 100% whole wheat recipes not using any all purpose flour? I wanted to make some zucchini bread that calls for Greek yogurt. Could I use tofu instead? I LOVE the vegan twist on Indian comfort food. 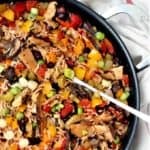 I am new to the vegan life (was a vegetarian), but the array of recipes are amazing. You have inspired me! 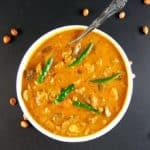 Hi Vaishali, super excited to have stumbled upon your website..loved reading all this info..I really want to drop dairy out of my life but alternatives might not work as well is making me worrisome..indian chai being one, boiled milk before sleep with family, making kheers, samiaan, dahi..what to do?? Thanks a lot for the helpful info. Non-dairy yogurts and tofu are not available where I live. Do you know of any other possible substitutes for greek yogurt? There is a blueberry muffin recipe that I really want to try, but it includes greek yogurt. I was wondering what I can substitute it with. Hi Vaishali, I happened to stumble upon your blog while hunting for a vegan curd recipe. I have tried making curd with peanuts, rice but was never able to get over the curd craving . Being a tamilian, curd rice with pickles was the one single item I was missing. I also tried grinding cashews, tofu and adding a tbsp of lemon juice and salt. Can I use this concoction as curd or for some other recipe. Pls suggest. I didn’t try it with rice. Hi Roseanne, Try blending some tofu with lemon juice as a replacement for yogurt. It works in most dishes. Cheers. Hi Vaishali,Thank you for all the lovely recipes.I was wondering if you have any suggestions for paneer substitution.Thank you in advance. 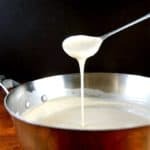 I’m in Australia, and trying to make an Idli recipe, they call for sour curd, would you suggest using a soy yoghurt for this? Idli doesn’t need sour curd. But you would have to lentils (moong dal I think) and rice are soaked in water and ground together and fermented. The bacteria needed for fermentation is naturally occurring in the lentils. Sorry, I don’t know the exact recipe but you can look up for another recipe that kind of goes like what I mentioned. Hi Pam, you can substitute with coconut milk, that’s fine. I have to update this list, and I will add it. One reason I personally tend not to use coconut milk much in recipes is because of the strong coconut flavor that any coconut product inevitably has. I am not crazy about it in sweet recipes except those that are specifically meant to have coconut in them. hello Vaishali, I am glad to find a Indian vegan. As you know Indian dishes includes a lot of dairy products. Diwali is here and I need your help. I love gujhiya which is also called as kalanjali. what alternative can i use for khoya? and for gulab jamun? Is vanaspati a good replacement for ghee, because I am gonna make besan ki laddu which require a lot of ghee but i just don’t know if it will do great with vanaspati ghee. please let me know what can I use. Hi Shristi, I just posted a recipe for karanji, which is the same as gujiya, but with a slightly different filling. You can do what I did and use a mix of cashew powder and coconut to substitute for the mava filling in the gujiya. I have a recipe for vegan gulab jamun on the blog. Check it out. And for besan laddu, use oil instead of ghee. It won’t make a huge difference. Don’t use vanaspati unless you are sure it’s trans-fat-free. Just a question, if sugar isn’t vegan, then how about store bought products such as jam or bread? Hi Thrisha, sugar can be a very tricky issue for vegans. While some manufacturers use bone char to refine sugar, others don’t, and it’s virtually impossible to track what sugar on the market is vegan and what is not, unless you are using unrefined sugars like turbinado. The same extends to jams and breads which list sugar as an ingredient. You might find artisanal breads and jams that are clearly labeled vegan. Or make your own. Is raw sugar a vegan option? Thank you so much for this list, Vaishali! I’m a north Indian, living in Ahmedabad, India. My 6 year old daughter has been recently diagnosed with gluten sensitivity, she was already milk intolerant since last 4 months. It’s reassuring to read some of your recipes like arbi parantha, since your cooking style matches mine. Would be reading your blogs frequently to gather tips from your cooking. Would like to know your almond milk recipe for now. Hi Chetna, welcome to the blog! My recipe for almond milk is really simple– one cup of almonds to four cups of water (use filtered), blend, and strain. You might want to soak the almonds in the water for a few hours, if you don’t have a high-powered blender. You can also add some dates to the blender, if you want the milk lightly sweetened. I post tons of gluten-free recipes, and especially cookies, which your daughter might enjoy. I love your site, and thank you for all the great tips making my vegan switch easy & fun. 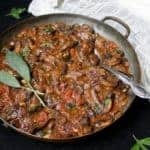 I’d love to know if you have a substitute vegan option for ghee in cooking Indian food? Thanks a mill. for these substitutes, especially for yogurt/buttermilk. I give Indian cooking lessons and cook Indian (am Indo-Canadian born in a veggie family in India) and dairy substitutes for Indian food are so important to have. I am experimenting with homemade vegan yogurt and will get there eventually in terms of thickness/texture I think. I have cooked some of your recipes. They are great. Thanks a lot of your hard work and effervescence! with the same comment. Is there a means you are able tto remove me from that service?